We at last complete our cross-continental journey! In this series of posts, we journey on the Lincoln Highway from New York City to San Francisco, taking it state by state. This is the final installment. Go here for an introduction. I was in my late thirties before I ever visited the “Left Coast.” Since that time, I’ve been out to California a few times, mainly for hiking in the eastern Sierra. It seems to me that California has the most interesting geographical extremes: the obvious example being the vertical difference between minus 282′ at Badwater in Death Valley and the summit of Mt. Whitney not that far away, at 14,494′. The Lincoln Highway goes through incredibly varied landscapes as it crosses the state—the Sierra Nevada, the gold-mining foothills of the western Sierra, the enormous Central Valley, and the San Francisco Bay area. The route of the Lincoln Highway crosses the Sierra Nevada either by the Donner route or by the Pioneer route further south. The routes join in Sacramento, where there is another split. The 1913 route followed what is now Highway 99 to Stockton. 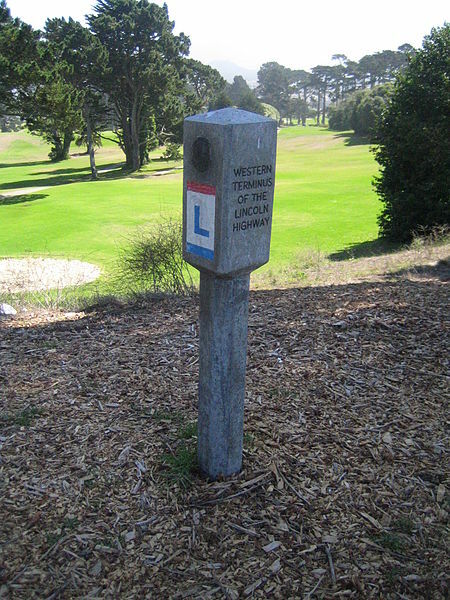 It was realigned in 1927, following close to the course now taken by I-80. 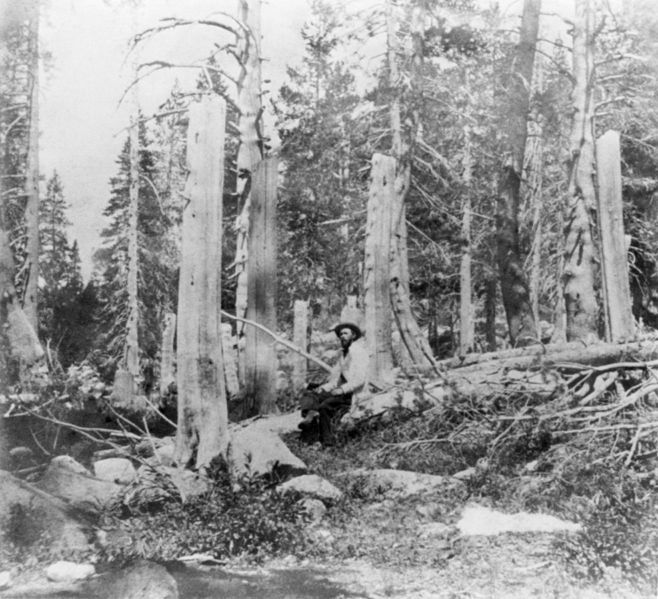 Donner Pass is of course famous for the terrible fate of the pioneers who became trapped by deep snow and resorted to cannibalism. The photo below indicates the depth of the snow by the tree stumps cut off at snow level. The three rescue parties who came out to help the Donner party in February and March 1847 were greeted by terrible sights: dismembered bodies, emaciated, haggard survivors. The pioneers had tried to find nourishment in old ox hides and leather shoelaces, but they had taken to eating the bodies of those who didn’t survive. But now the trip over the pass is accomplished easily by I-80, except when it is briefly closed by snow. 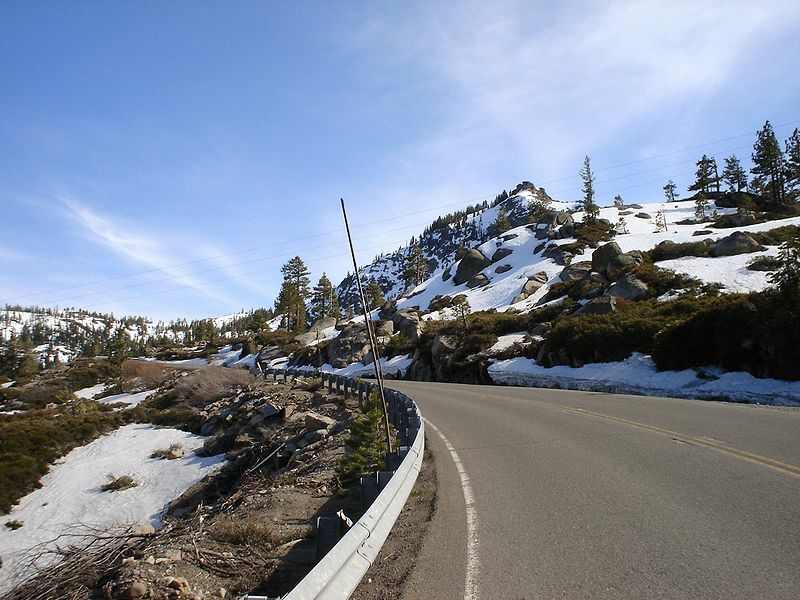 In snow-free months, it’s possible to exit the interstate at Truckee and follow the original route of the highway. 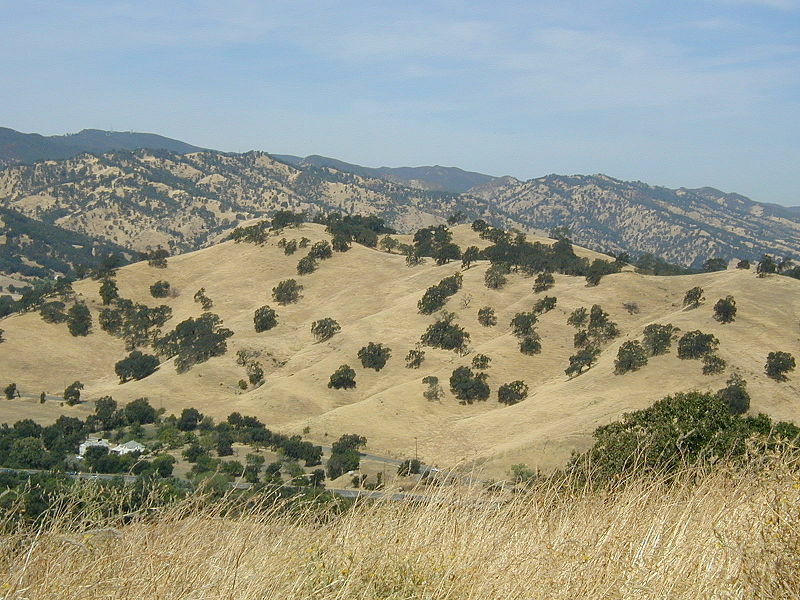 Both of the eastern branches of the route go through gold mining towns such as Placerville. 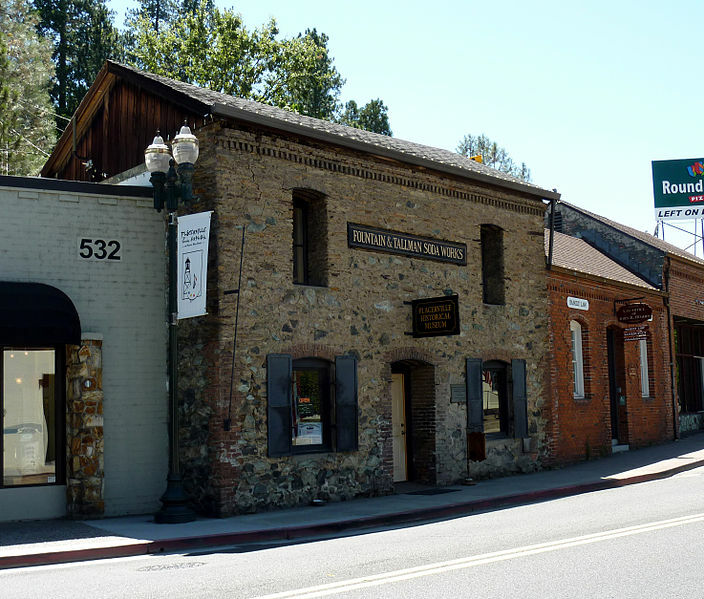 Before it got its current name, Placerville was known as “Dry Diggins” and “Hangtown.”” In Placerville, the miners were fond of drinking soda water, and one of the former soda factories is now the Fountain & Tallman Museum. State capital Sacramento is the next major stop. 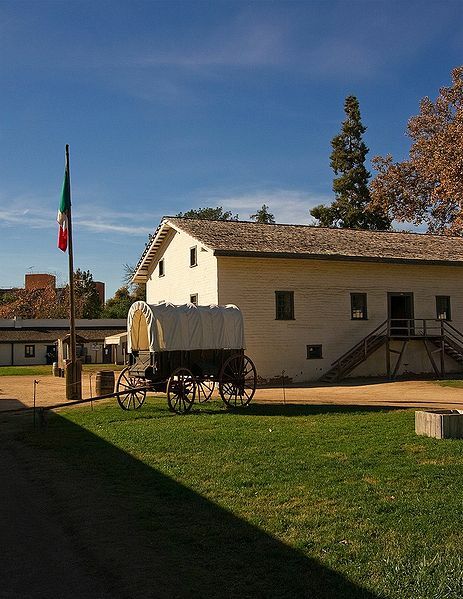 It originated as Sutter’s Fort and experienced a boom with the gold mining years. Early Lincoln Highway traveler Effie Gladding thought that Sacramento still felt like a frontier town in 1914. “Judging by appearances, there are more saloons in proportion to the other shops of Sacramento than in any other town in California, unless it be San Francisco.” But she admired the “Sacramento Bee” building and the well-tended park around the State House. Here the splitting routes lead either through Vacaville or through Stockton. I stumbled across an odd geography factoid about Vacaville: it supposedly has the highest per capita concentration of electric cars in the world and is sometimes called “Voltageville.” I could find no particular explanation for this phenomenon. Effie Gladding attended a rodeo in Stockton on her trip. Nowadays the city hosts an annual Asparagus Festival and has a decidedly less “frontier” feel to it. Stockton as Effie Gladding saw it. 1. Roof garden of the Stockton Hotel; 2. At the head of the San Joaquin. We are fast approaching the western terminus. Lincoln Highway travelers in 1928 crossed San Francisco Bay via a ferry from the Berkeley Pier to the Hyde Street Pier in San Francisco; drivers now travel via I-80 to approach the Bay. 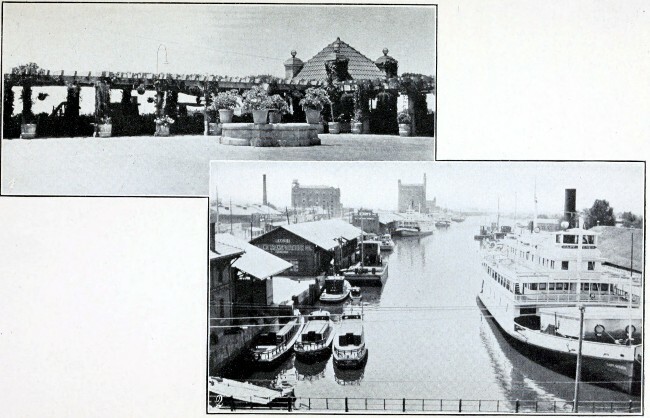 From the Hyde Street Pier, today’s travelers follow a complicated sequence of streets to reach Lincoln Park and the Lincoln Highway Western Terminus Plaza. Our journey is done! Thank you for traveling with me. 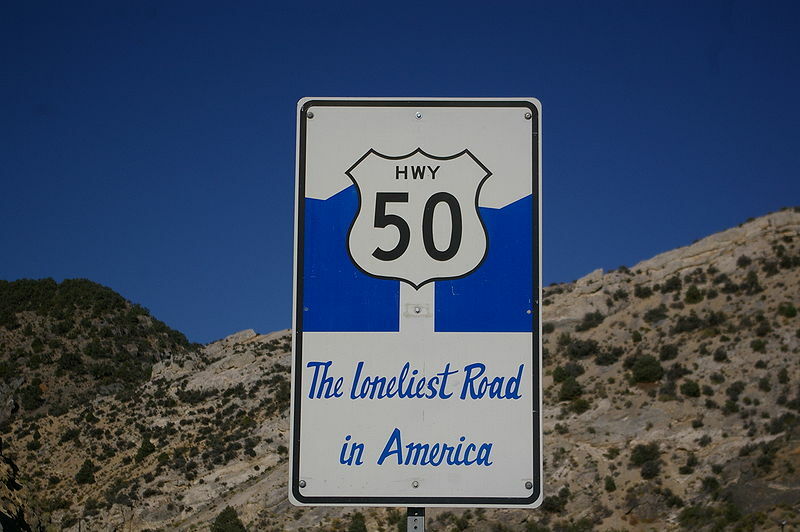 Most of the Lincoln Highway in Nevada follows US 50, "Loneliest Road in America"
The original 1913 route of the Lincoln Highway led directly west from Salt Lake City toward central Nevada. When the U.S. highway system was created in 1926, the state of Utah refused to pave the portion of US 50 (the Lincoln Highway route) that led from Thistle, Utah, toward Ely, Nevada, on the grounds that it was too expensive and brought no benefit to Utah cities, as it went through a vast unpopulated area. Utah paved two other routes, one going through Wendover toward Elko and the other going south through several Utah cities and heading toward Las Vegas. The former is now the route of I-80 and the latter the route of I-15. 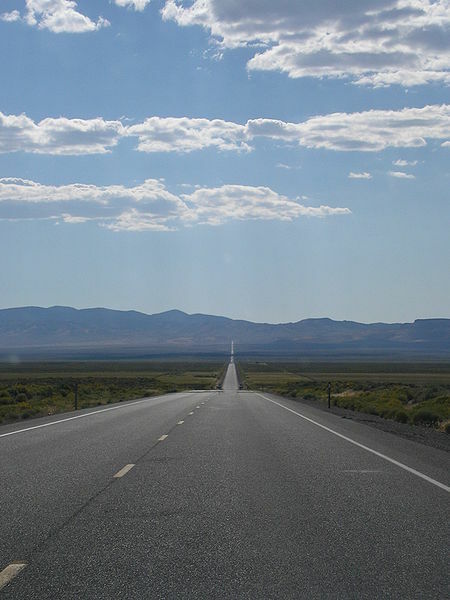 But as described in our post about the Highway in Utah, it is not possible these days to follow the original route, as it passes through the off-limits Dugway Proving Ground. 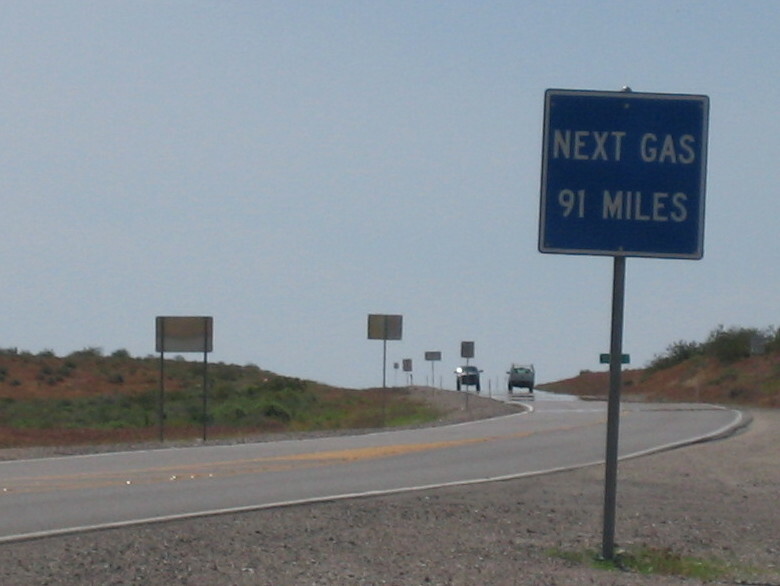 Modern travelers must follow I-80 to West Wendover, Nevada, and turn south on Alt-US 93 toward Ely. 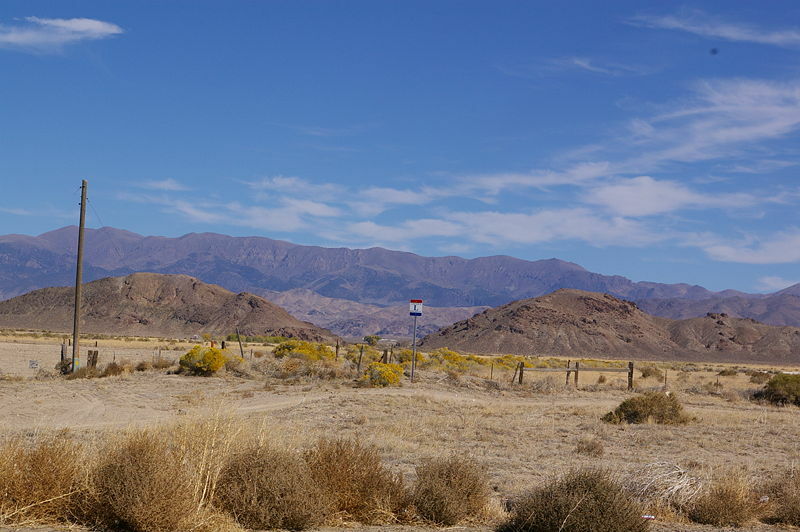 The route then follows US 50 to a point west of Fallon, where it splits between the “Donner Route” and the “Pioneer Route” for the crossing of the Sierra Nevada. 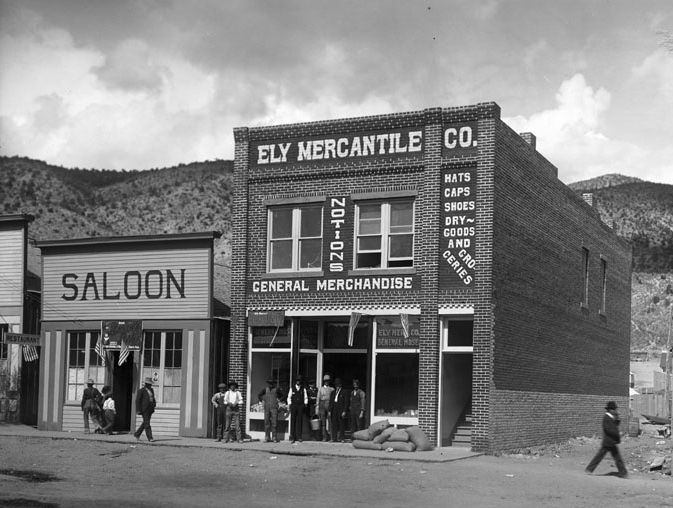 The first major stop in Nevada is at Ely, a town founded as a stagecoach station on the Pony Express. 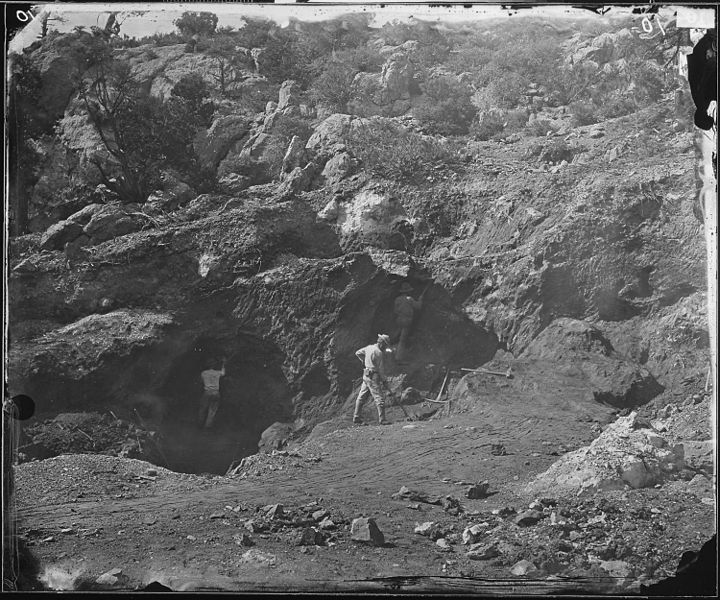 The discovery of copper in 1906 resulted in a boom for the town. 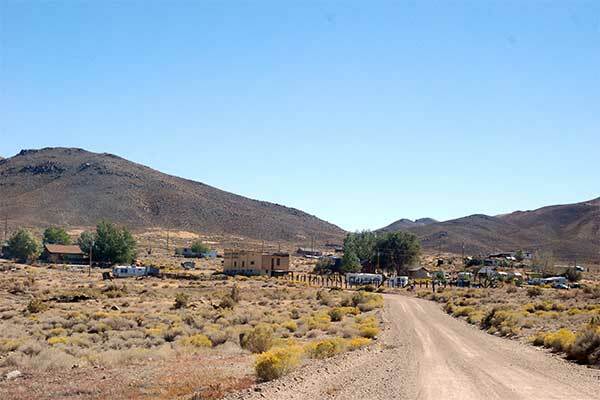 The copper market crashed in the 1970s, but the town survived by the presence of gold mines in the area until the demand for copper revived in the past decade. Ely has a railroad museum at the Nevada Northern Railway yards in town. The railroad complex is considered the best preserved facility remaining from the steam railroad period, as its remote location led it to escape the widespread demolition that accompanied the nationwide conversion to diesel fuel. 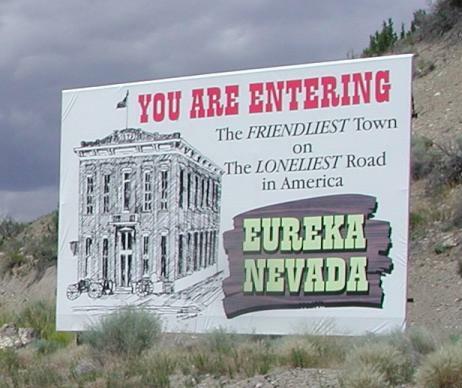 Seventy-seven miles west of Ely comes the small town of Eureka, which was home to two feuding mining companies, Richmond Mining and Eureka Mining. At one point their dispute went all the way to the Supreme Court. 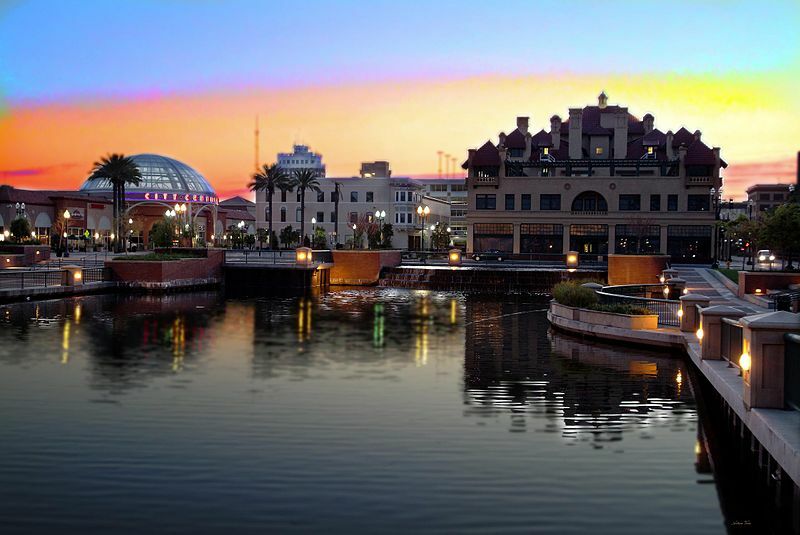 With the decline of local mining, the town has reinvented itself as a tourist destination. "The Friendliest Town on the Loneliest Road"
There are no towns for the next 58 miles, when Austin is reached. The International Hotel, built in 1859, still serves meals and drinks, though rooms are not available there. High-quality turquoise is mined in the area, but the local gold reserves are worked only sporadically. A wealthy easterner with financial interests in the mines built a peculiar stone structure, but it was occupied for only a month. The route of the Highway leaves US 50 west of Austin to travel state highway 722 to Middlegate. Middlegate has a single building, a roadhouse that dates back to the Pony Express era. Until recently it was also known for its “shoe tree,” a cottonwood that had thousands of shoes dangling from it. It is said the first pair of shoes in the tree dated to a couple traveling to get married in Reno in the 1980s. They quarreled, and she got out of the car, but her fiance threw her shoes into the tree so that she wouldn’t be able to get very far. The tree was chopped down by a vandal on December 31, 2010. East of Fallon, petrogylphs may be viewed at Grimes Point. Fallon is known for alfalfa production and for its “Heart O’ Gold” cantaloupes. West of Fallon, the route makes its split, one branch going through Reno and the other through Carson City. 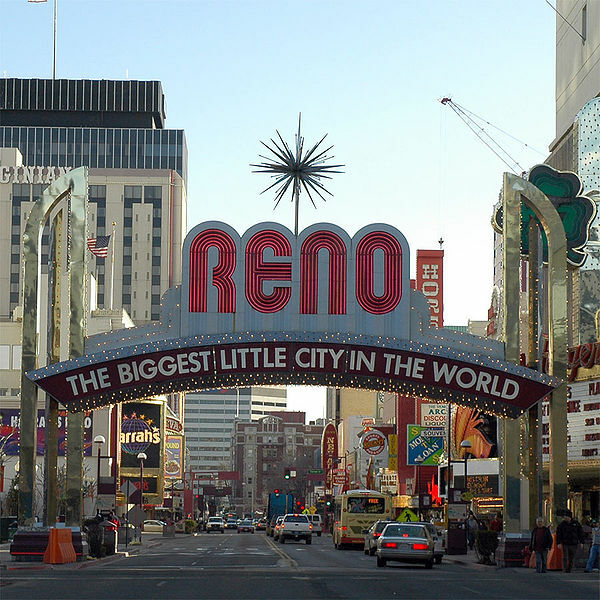 Reno is home to an arch that proclaims the city to be “The Biggest Little City in the World.” The original arch was built in 1929, but some residents complained about the slogan and it was replaced by a green neon “RENO.” However, a backlash resulted and the slogan was restored. 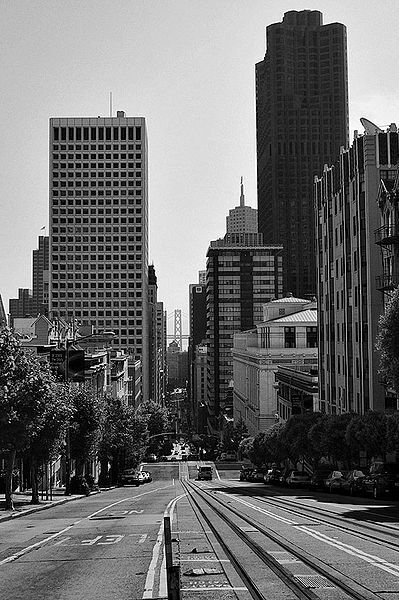 In 1963 the arch was replaced by one with a “mod” design; that one was in turn replaced in 1987. 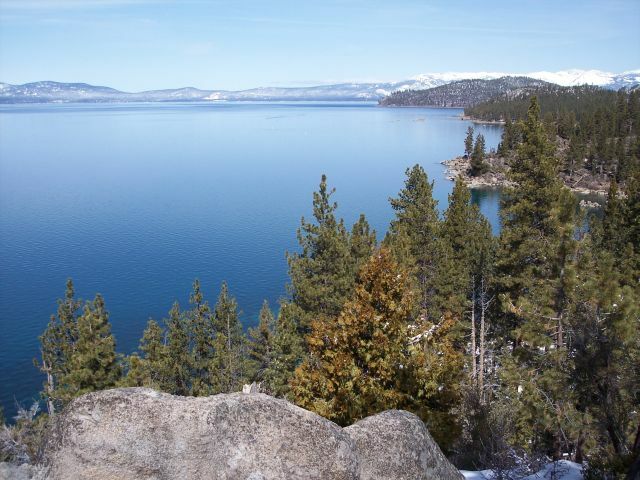 The Donner Route leaves Nevada at the hamlet of Verdi, while the Pioneer Route exits the state on the southern shore of Lake Tahoe. 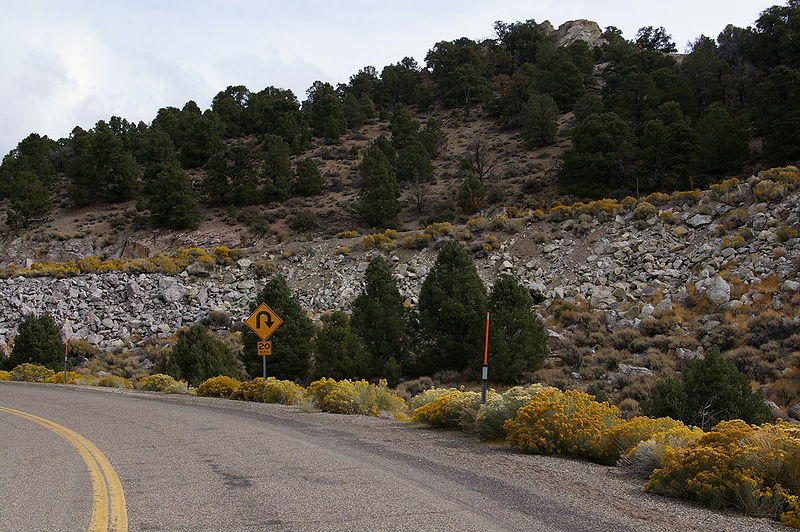 Among Lincoln Highway states, Utah has the distinction of being the only one in which a major chunk of the former Highway route is now off-limits to the public. The original alignment passed through what is now the Dugway Proving Ground, part of a complex of top-secret military testing areas. For instance, Dugway is adjacent to the Utah Test and Training Range, which is the “largest overland contiguous block of supersonic authorized restricted airspace in the continental US,” according to the Wikipedia article. That is quite a mouthful. These areas are used for training exercises, disposal of explosive ordnance, and testing of experimental equipment. 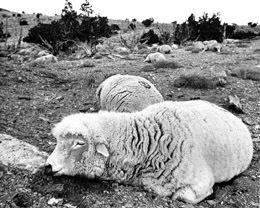 Dugway is known for the “sheep kill incident” of 1968, in which quantities of a nerve gas called VX were released in open-air operations and drifted over to Skull Valley, where more than 6,000 sheep were killed. A classified report, produced in 1970, stated that VX was found in snow and grass samples recovered from the area three weeks after the incident. The report was not made public until 1998 (through the efforts of a newspaper reporter), and even then the Army did not admit responsibility. However, back in the days of general outrage against military use of chemicals—think napalm in Vietnam—the incident contributed to President Nixon’s 1969 decision to ban all open-air chemical weapon testing. Things were a bit different in the early Lincoln Highway days, when travelers were advised that if they had a breakdown near Fish Springs—now in the off-limits area—they should build a sagebrush fire. “Mr. Thomas will come with a team. He can see you 20 miles off,” said the Lincoln Highway Association’s 1916 Official Road Guide. In earlier posts we’ve met Effie Gladding, author of the 1914 Across the Continent by the Lincoln Highway. 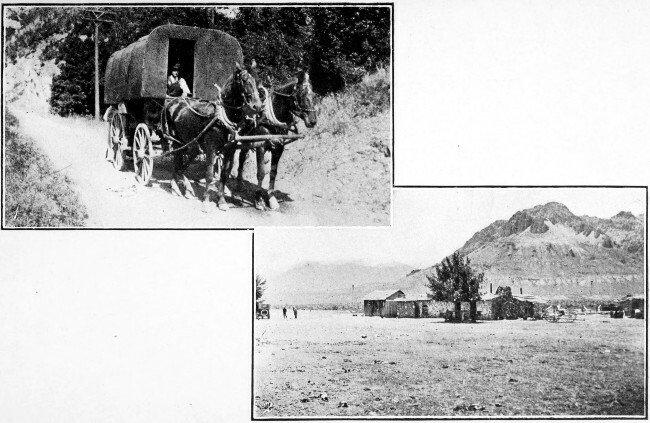 Driving across the western Utah desert, Effie and her husband made their way from ranch to ranch, stopping for meals and overnight accommodations. They must have offered some compensation to the ranch owners, though her book doesn’t say. Here is a bit of her description of the Fish Springs Ranch, where they stopped for lunch. Drivers wishing to travel the route of the Highway must now stick close to I-80, passing on a straight east-west line north of the Dugway area, where the Highway’s alignment had followed the trail of the Pony Express and the Central Overland Route. The latter was used for transport of passengers, mail, and freight in the 1860s, up until the First Transcontinental Railroad was completed. But back to our usual east-to-west sequence. Entering Utah from Evanston, Wyoming, the route passes through Echo, a railroad junction town on the Union Pacific line, which passed through Echo Canyon. Locomotives loaded up on coal there before heading up the canyon’s steep grade. After steam power was replaced by diesel, the town’s location at the junction of two major highways kept it going for a while, until I-80 turned it into a minor exit. We pass through Coalville, where Effie Gladding noticed not coal but many old-fashioned yellow rosebushes in bloom, and cross the megalopolis of Salt Lake City. 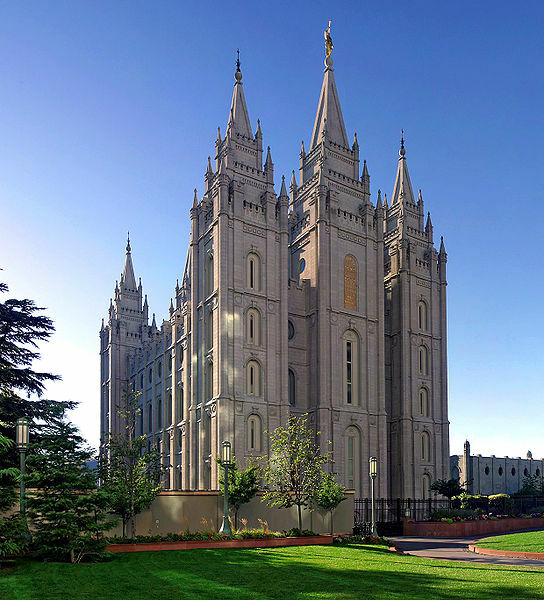 As the temple is considered sacred by the church of the Latter Day Saints, ordinary visitors cannot enter but must content themselves with a tour of the grounds. 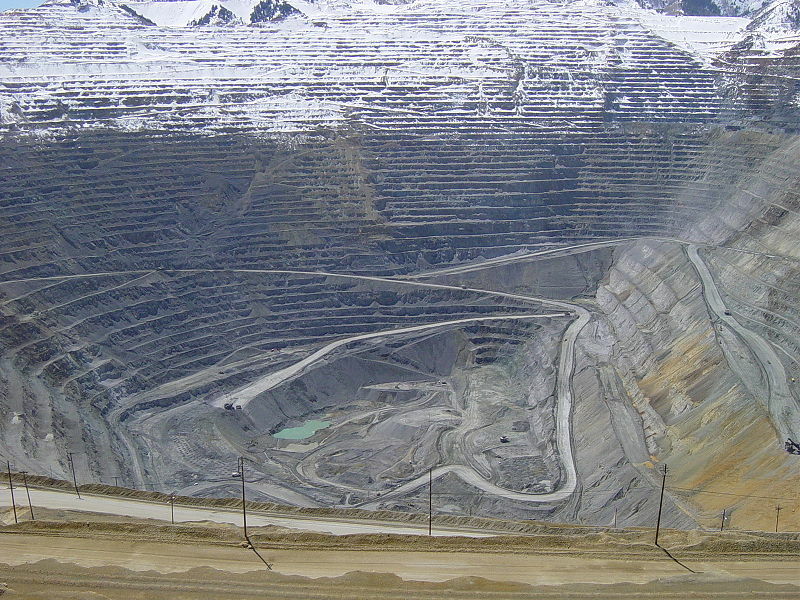 Just west of Salt Lake City, the original route of the Highway goes through Magna, entering property of Kennecott Corp. It’s possible to visit the Kennecott Copper Mine, said to be the deepest open-pit mine in the world. In production since 1906, it is now 0.75 miles deep, 2.5 miles wide, and covers 1,900 acres. 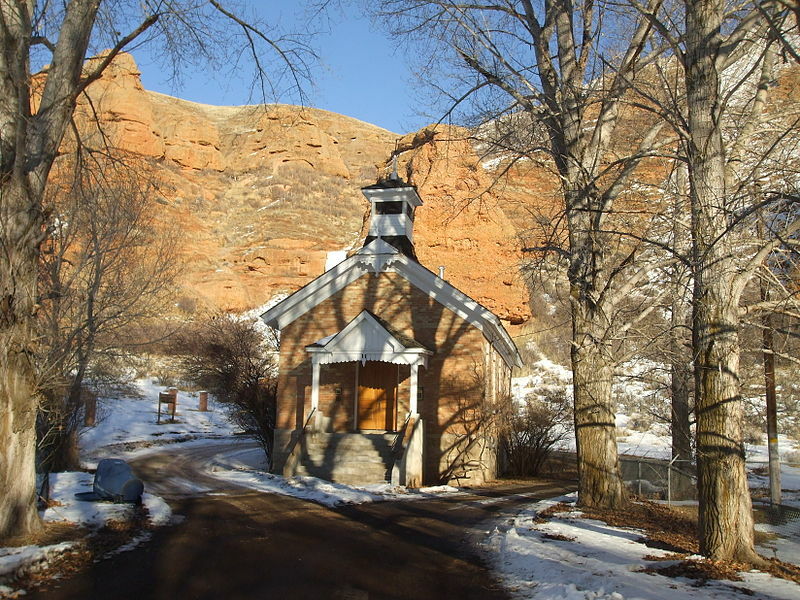 South of I-80 at Grantsville, travelers can visit the Donner Reed Museum. It was in Utah that the party of 87 pioneers started to run into serious trouble on their way from Missouri to California in 1846. 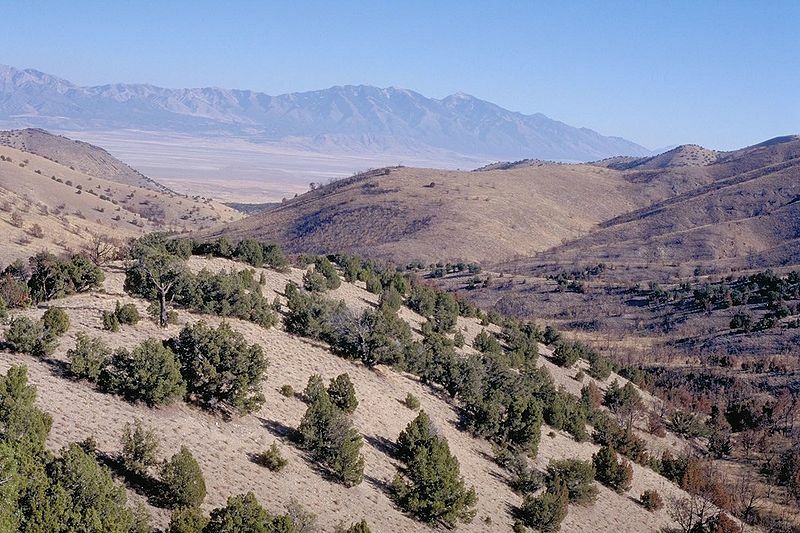 They opted to take a route across Utah and Nevada known as the Hastings Cutoff for the man who proposed it—a man who had never taken the route with wagons. The museum’s website states that the trail left by the wagon wheels across the salt desert is still easily detected. The pioneers lost their oxen to exhaustion and thirst, they cast off many possessions and abandoned wagons, and they had many conflicts before they eventually became mired in deep snow in the Sierras. 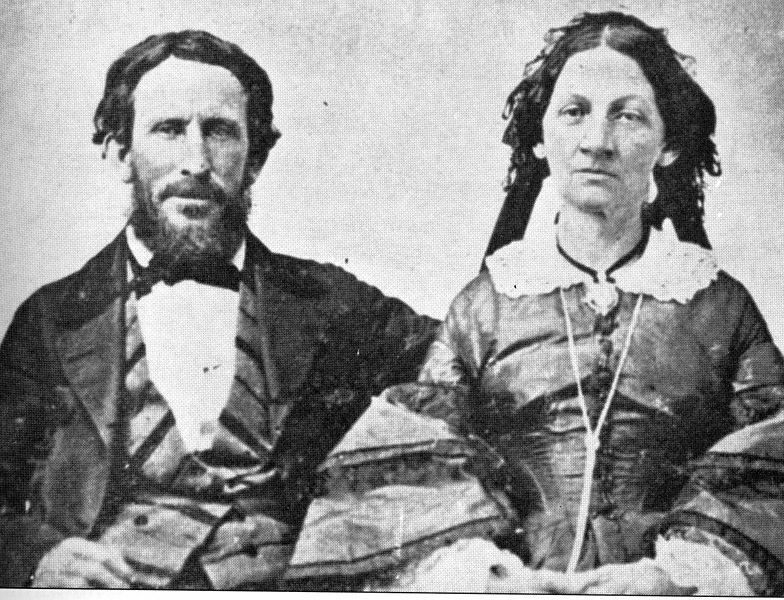 The Donner Party is mainly remembered now for the way the survivors pulled through—by cannibalism. We will return to the subject at Donner Pass in California. 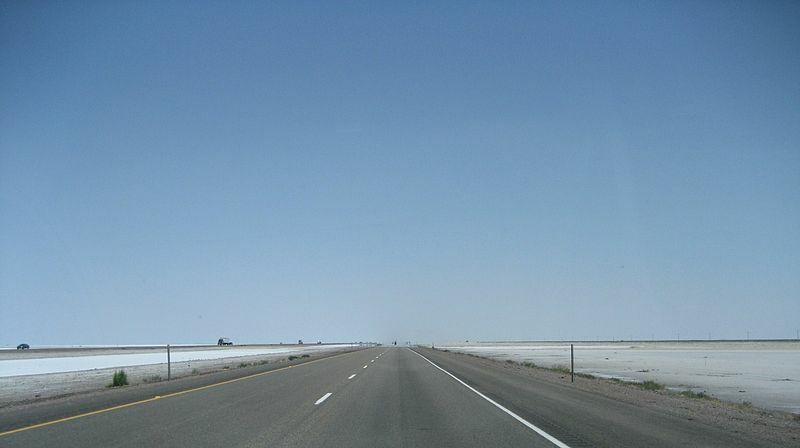 West of Grantsville, the interstate passes through a virtually unpopulated desert for about 80 miles, staying within a corridor between the military zones. 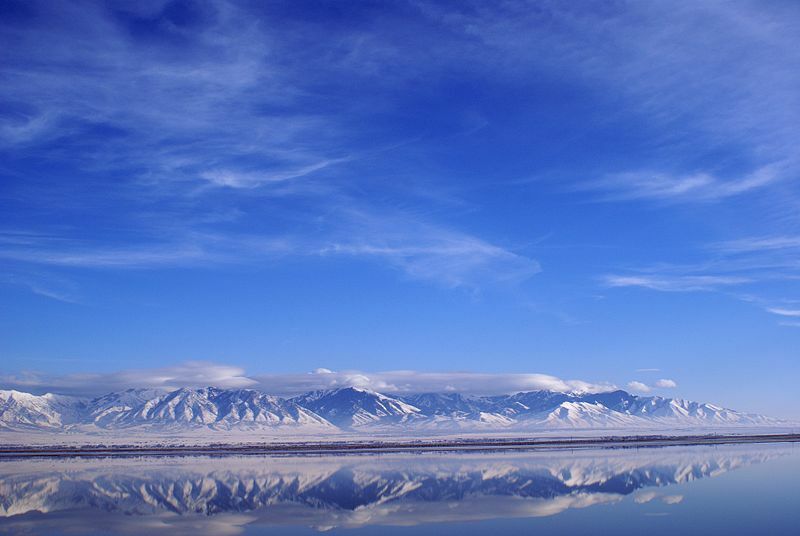 The highway passes Skull Valley and crosses the Cedar Mountains. 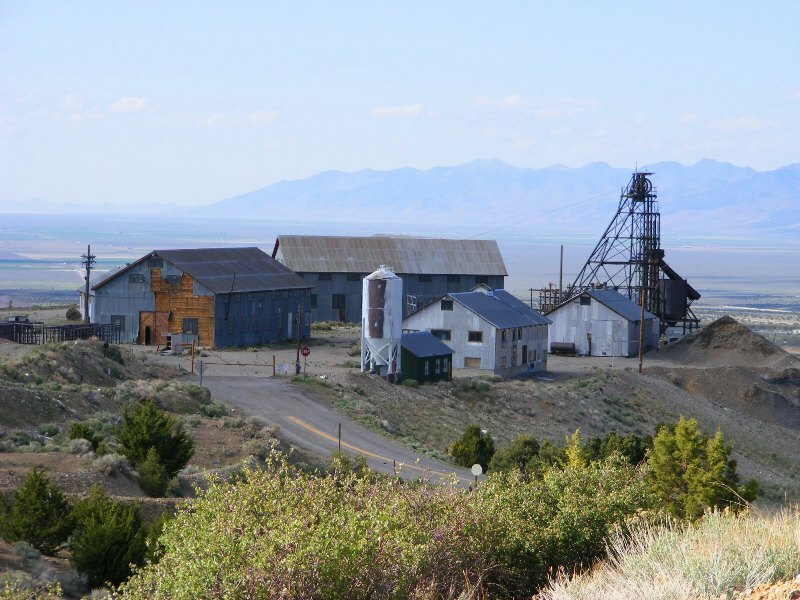 It’s possible to visit the town of Gold Hill, formerly a mining center but now nearly uninhabited. 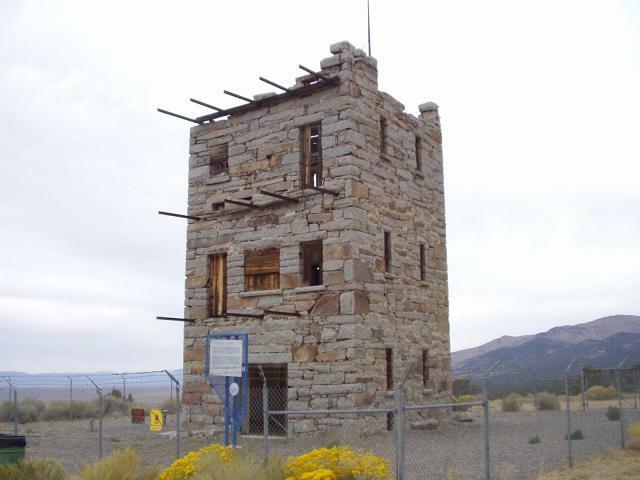 It lay on the original route of the Highway, but it now can only be entered from across the state line in Nevada, along roads that stay outside the boundaries of the military testing areas. The interstate exits Utah at Wendover to enter Nevada near the Silver Island Mountains—a nice name.